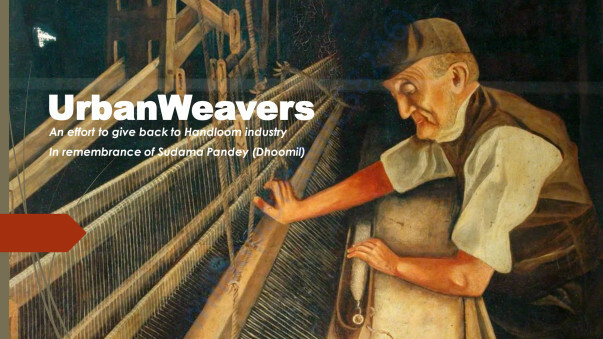 Handloom industry is at serious risk! Handlooms are Dying – and It's Because of Our Failure to Protect Them. With Blessings from our GrandFather and a Revolutionary Poet, Mr. Sudama Pandey (Dhoomil) ; We have Started an initiative to promote the Indian weavers/artisans and their finest creations. Bridge the real artisans directly with customers. Bring the real artisans at the centre-stage in front of the consumers. Offer this service through a dedicated platform/initiative. The end objective is that of transforming handloom weaving into a dignified income-earning, fulfilling, sustainable, and life-improving activity. Your Donation and Word of Mouth will help us create a sustainable culture! We will be collaborating with Weavers and artisans from different Indian cities ; Provide them with Infrastructure, Materials and Platform to showcase their products. We will make sure weavers products reach directly to end customers ; thereby reducing the effective cost of the products. We will organize exhibitions and expo's in different forums and offer handloom products at economical rates. We will need your support to make this dream come true! We seek donations to support this initiative and help us run this program. Your small contribution will help sustain weaving community! 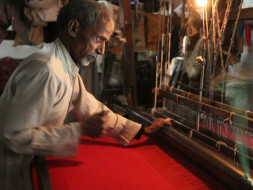 Trainings will be extended to weavers from other states as well. We have planned to spend around 20-50K on training sessions to multiple weavers group with help from Professionals. Once Trainings are completed and Weavers are skilled, Raw materials and Tools comes next. We will be providing all the required raw materials and tools to assist handloom works. We will be collaborating to different designers, ethnic artists to bring the best work out of weaving. exhibitions will be organised in different cities; with help from different communities to showcase Weaving art work. This provides direct market to weavers. PS: Above costs can escalate depending on scale of implementation. We initially seek donation upto 3L and seek more help from different like-minded initiatives. Read our story on our blog http://urbanweavers.blogspot.in/. Please share, and help us reach our goal.